IRRESISTIBLE OBJECTS. We often find vintage kitchenware made of metal, wood, stone, and pottery stacked on dusty shelves, mixed with other objects in antiques shops and thrift stores around the country. They have gathered dust either because a lot of people find no use for worn out things or that they are very expensive. But for those who are into recreating the lives of their ancestors into their homes, primitive kitchenware has become irresistible objects. PRENSA. 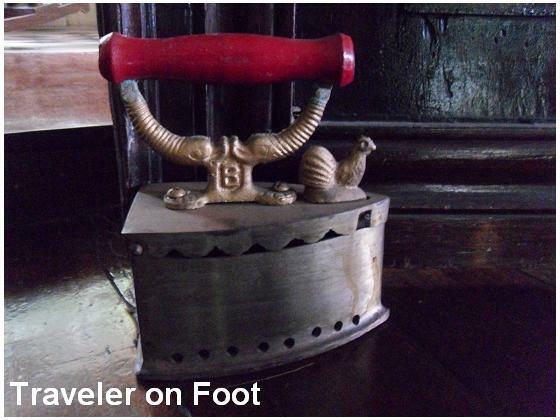 On our trip to local antique shops in Vigan, the rusty coal-powered flat-irons were common finds. At time when electricity is not yet available in rural towns, live coal was piled inside the flat-iron to heat it. Collectors look for the one that has a chicken or bird figure attached to the lock. The lock was required to prevent the live coals from flying out. Rare kinds are those deep pan-edged made of the heaviest brass or copper. It has open fretwork, called the prensa de corona and had a stout wooden handle. Moving this kind of flat-iron across the garment was a careful art, for none of the embers must be allowed to fly out and burn the cloth. BRASSWARE. 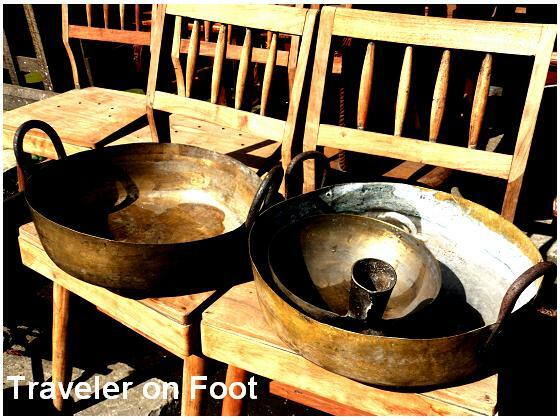 Some of the metalware that came into the Philippine household were from China. A few came from Spain like the brass chocolatera and iron-cast pans. These metal utensils often outlived their original owners and were passed on to the next generation. When the succeeding generations find out that they are sought by collectors, they end up in antique shops. WOODEN BATYA. Charming pieces were usually made of wood. The wooden tubs, hand-carved from a single piece of wood evokes the time when the womenfolk washed clothes in brooks, riverbanks, and at open waterworks like the communal poso. ALMIREZ. 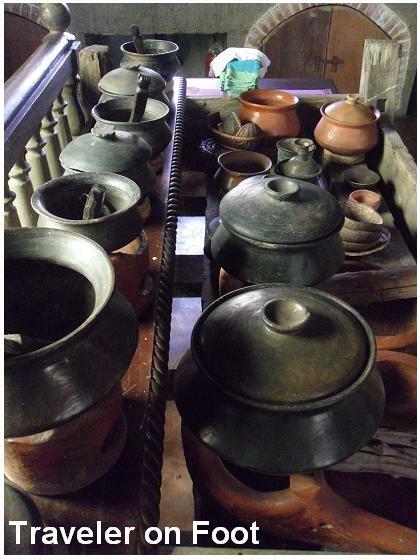 More commonly found in Filipino household that also end up in thrift stores was the almirez or mortar and pestle team used for crushing garlic and peppercorn and for bringing out the juice from shrimp heads. 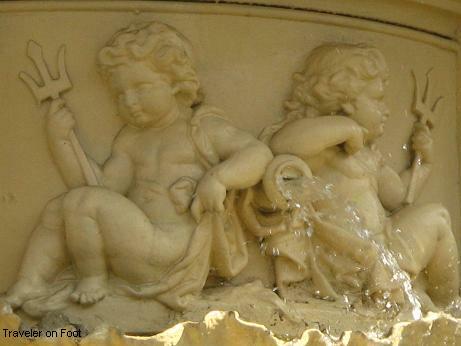 Like other kitchenware, the almirez was painstakingly chiseled and shaped from stone by hand. PALAYOK. Most commonly identified as a classic Filipino kitchenware is the palayok. From the potter’s wheel, the earthen pot was fired in a kiln to make it a constant household pot on fire. 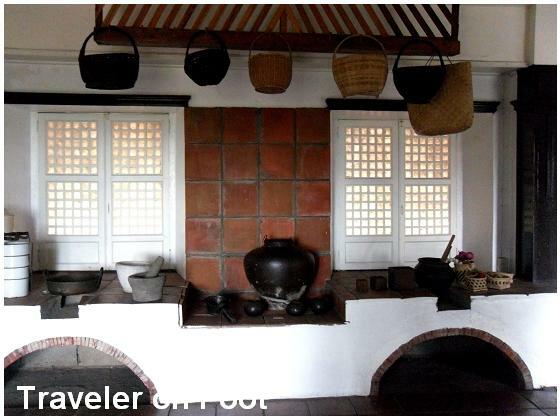 According to tradition, the first thing that must be brought into a new house was a palayok and the first task accomplished was to cook rice in the palayok. KAMOT JARS. Another earthenware sought by collectors are the kamot jars. This Ching dynasty tradeware circulating in antique shops were said to have been used in ancient barter trade. It was then used as kitchen vessel for fermenting liquids and condiments. Its name came from the scratch-like parallel indentation on the pot’s shoulder. TAPAYAN. 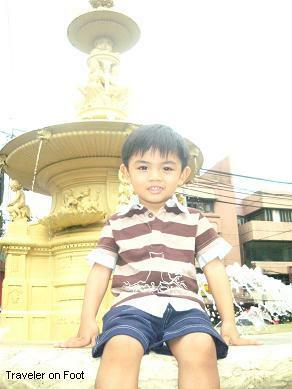 Also sought after by collectors were the earthen water containers called tapayan. 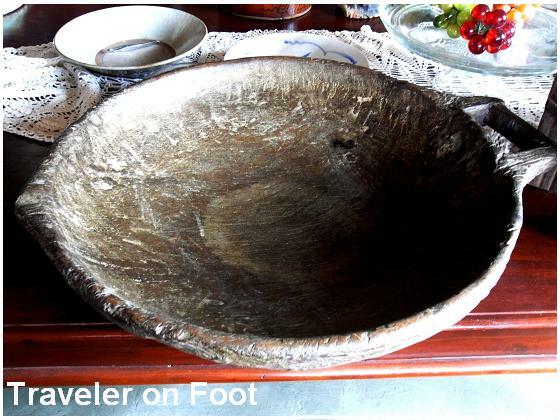 The tapayan was placed on the banggera like a small cistern for cooking, drinking, and washing dishes. 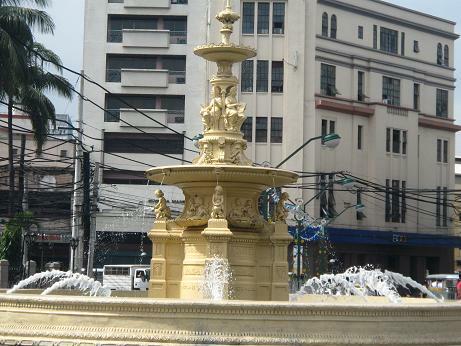 It is said that water stayed cool in the tapayan. The secret which kept the water in the tapayan fresh was the practice then of scrubbing the jar with buri leaves and rinsing it repeatedly with clean water, it is only then it becomes ready to be filled in with drinking water from the brook or a well. A shell of a kabibi was dropped into the tapayan to dispell any murk in minutes. EPILOGUE. All of the traditional kitchenware mentioned above is no longer in use. They have been swept aside by new technology and later ended up in antique shops only to be taken home by someone who wants to be surrounded by an aura of quiet charm that is found in classic Filipino kitchenware.